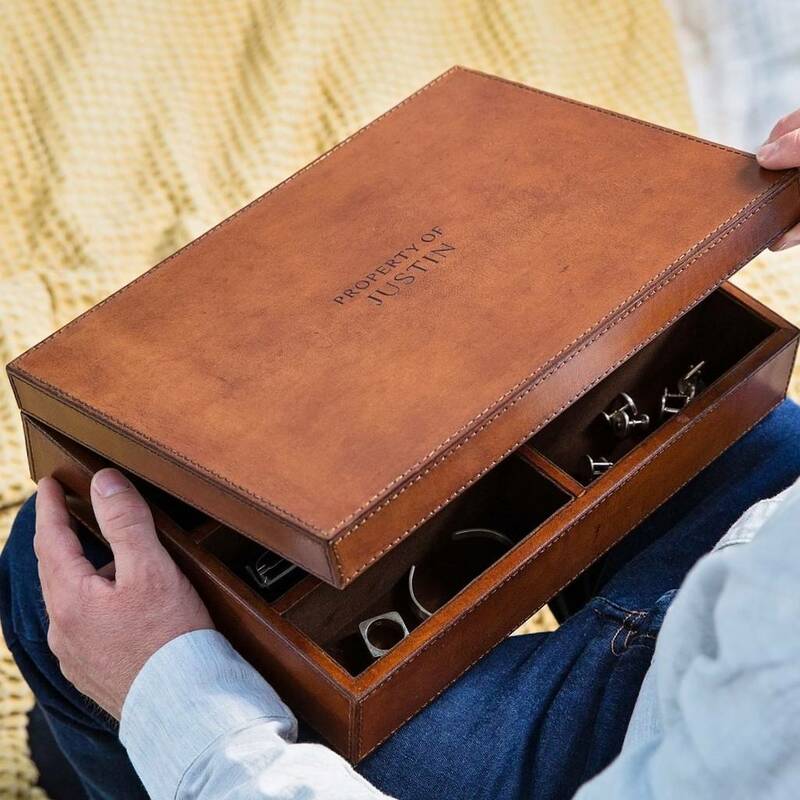 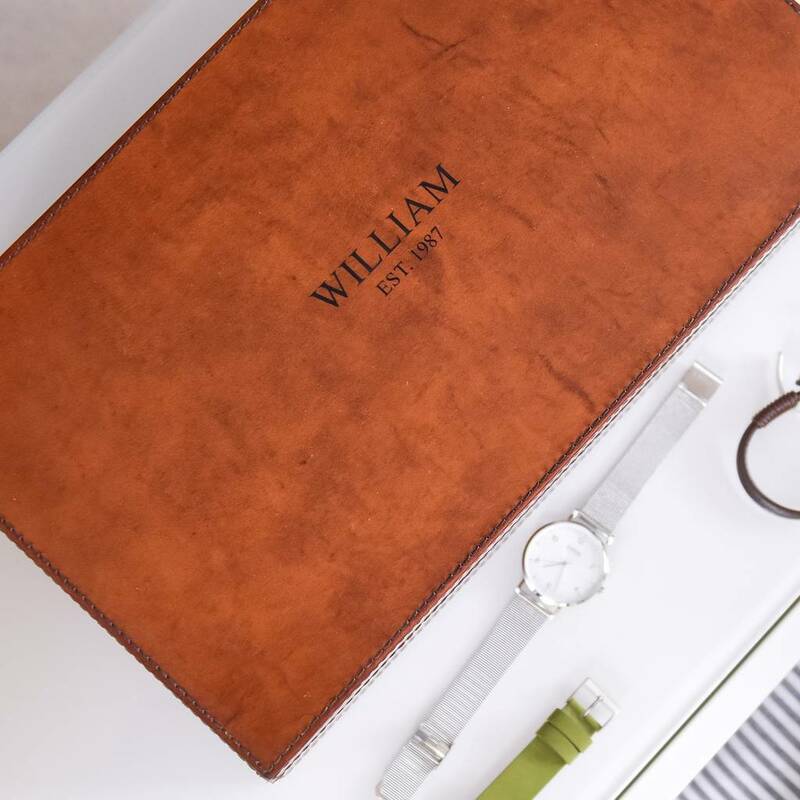 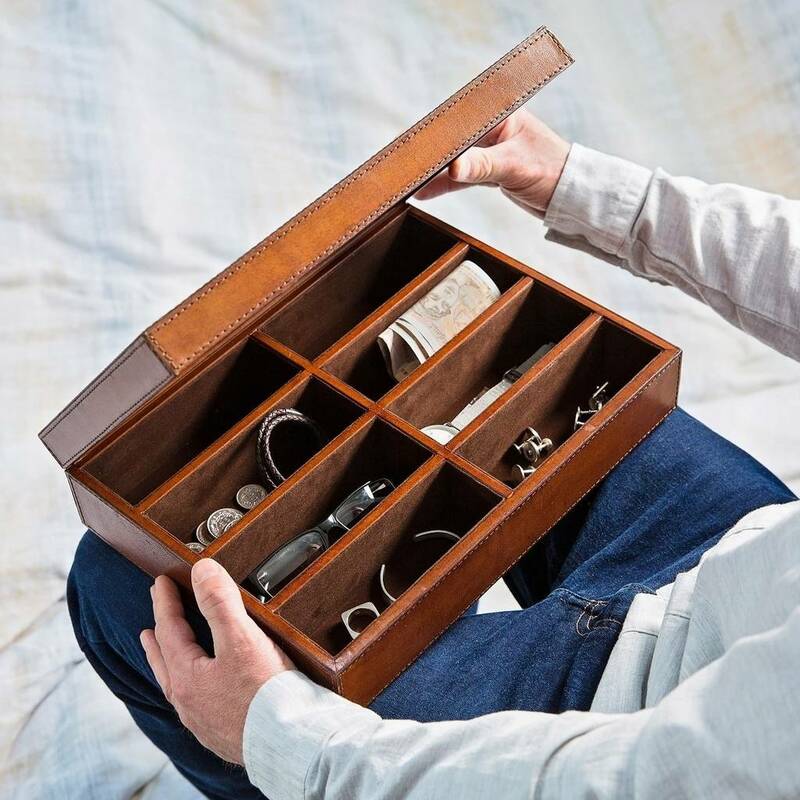 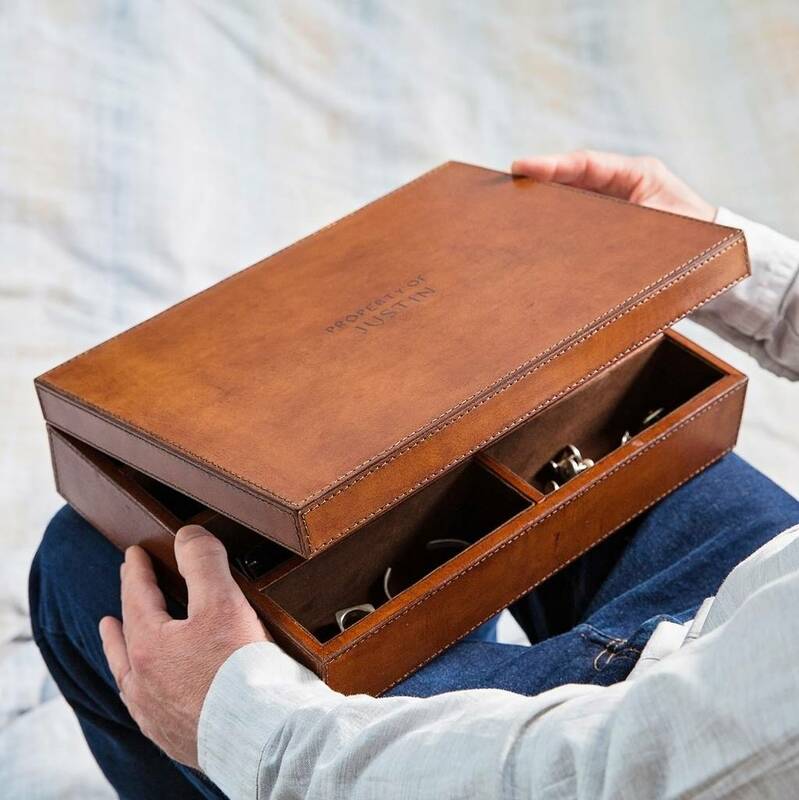 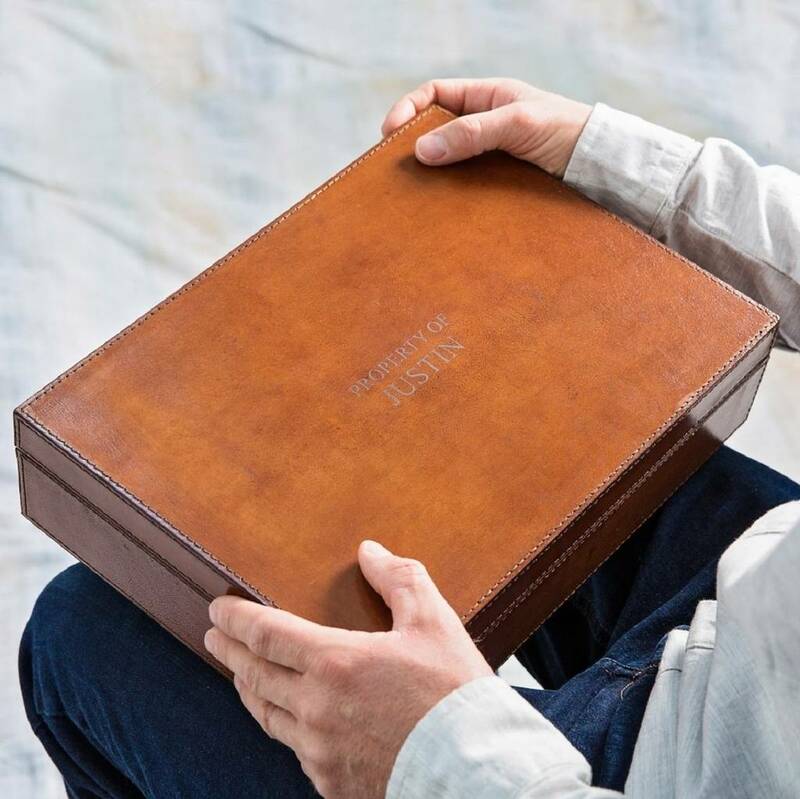 New and exclusive to Ginger Rose, this bespoke personalised mens leather storage box allows him to safely store his most precious items. 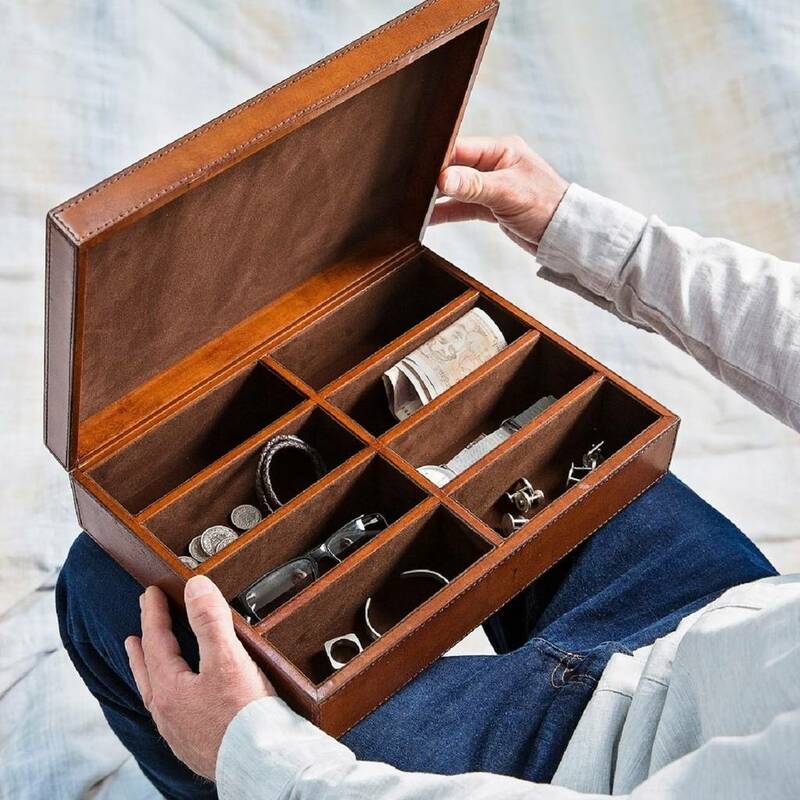 Every modern man needs a home for his things, an accessible place to store his jewellery, watch, sunglasses, cash, keys, etc. 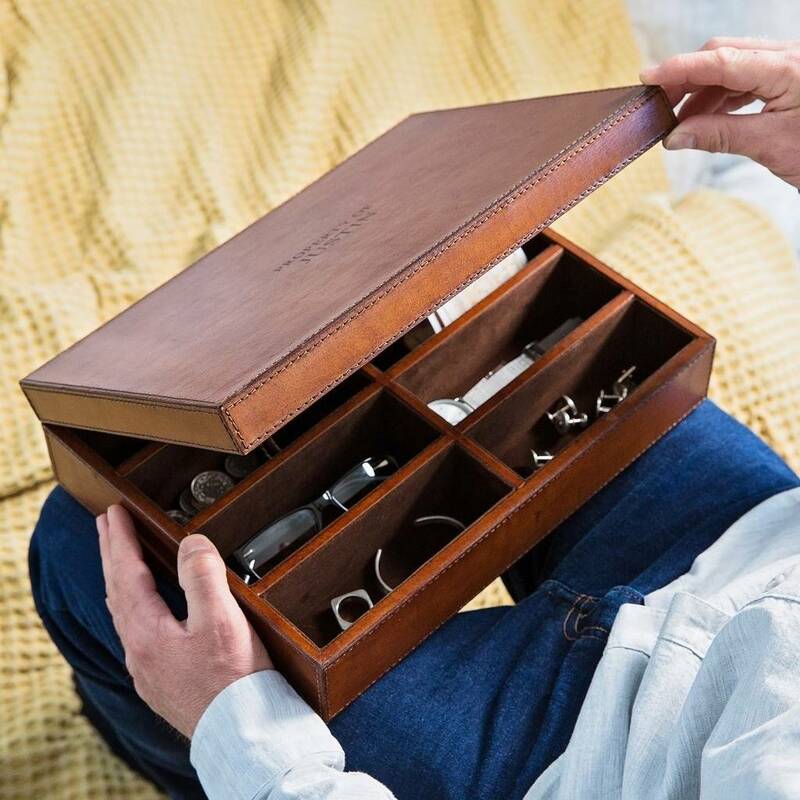 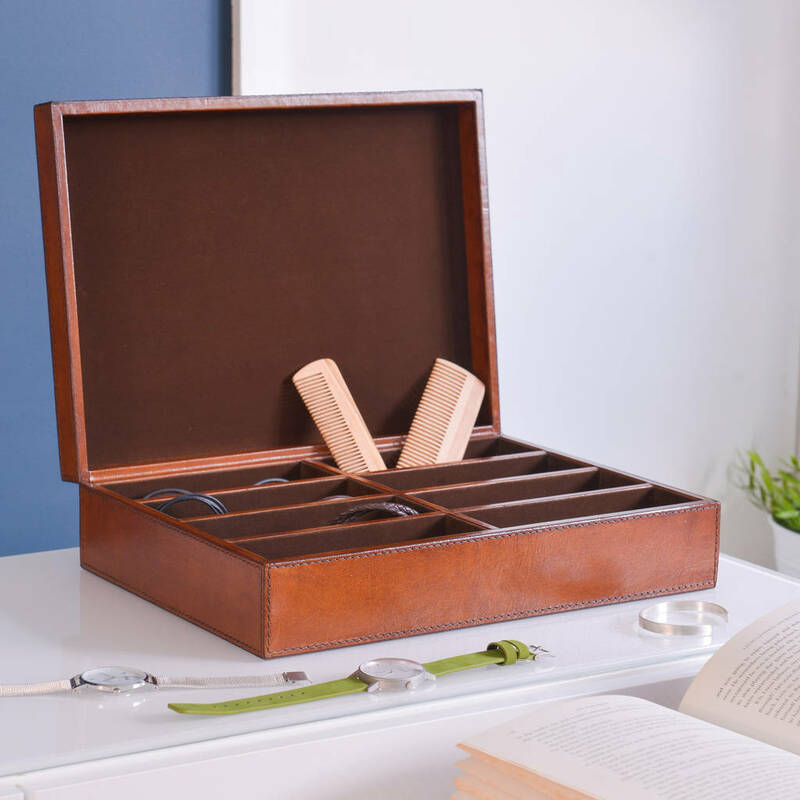 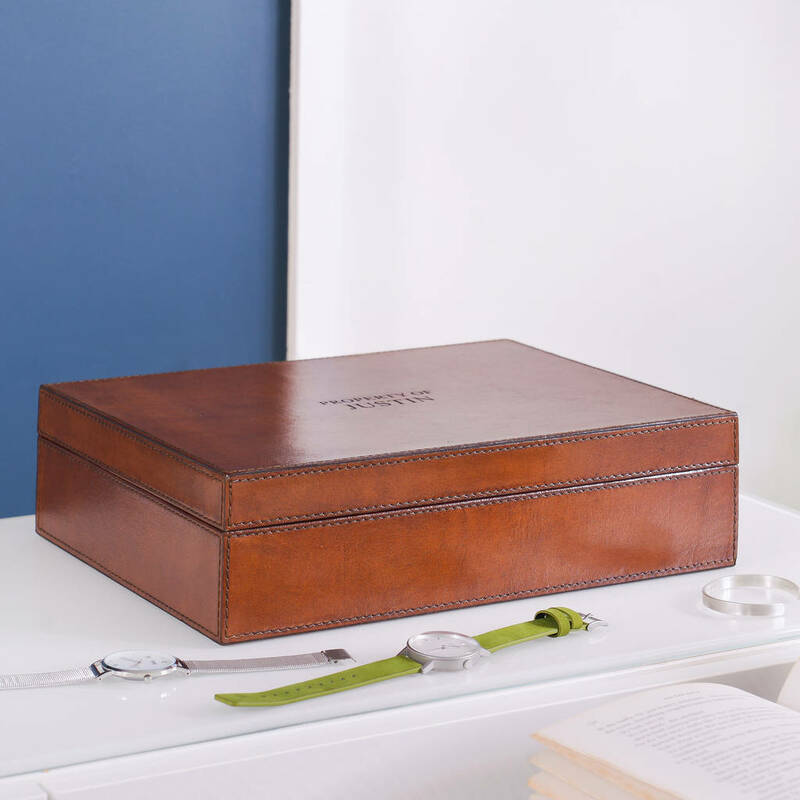 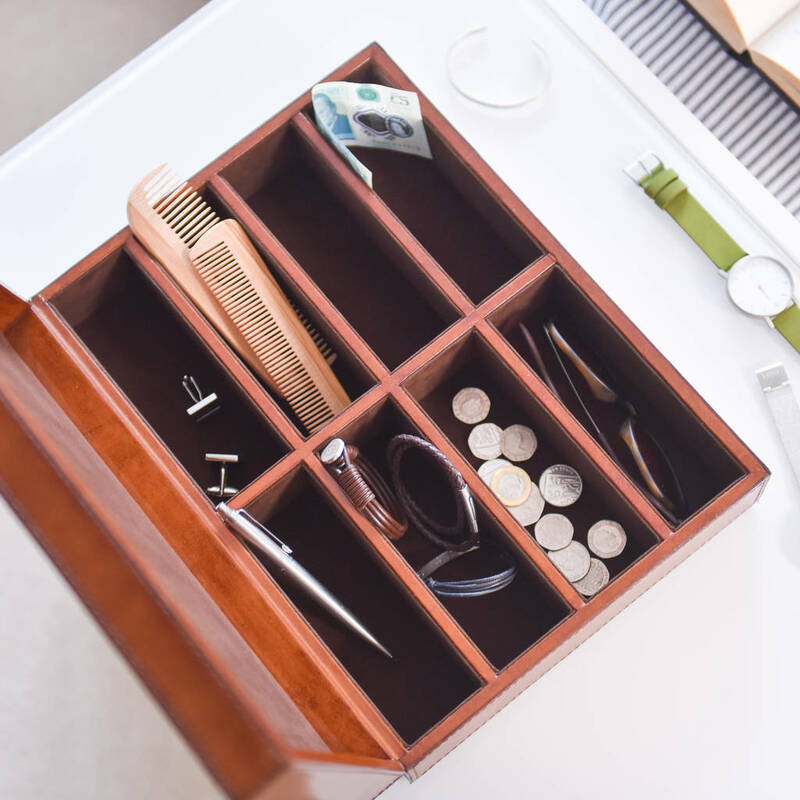 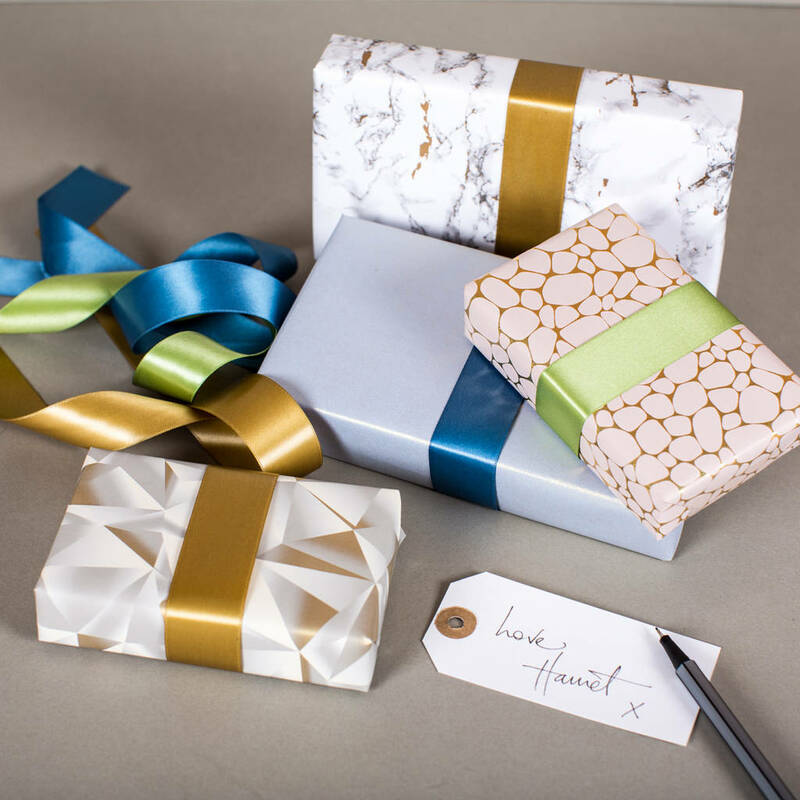 Keep close to the bed or display proudly on the dressing table, its smooth leather exterior is guaranteed to look smart and keep the boxes contents tidy.